Oh, hi. Happy Sunday. 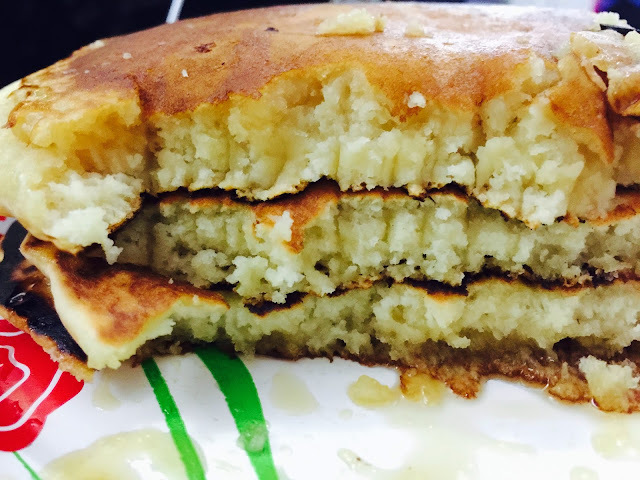 I realized recently that I never actually blogged about the amazing vegan pancakes I make on many Sundays. It's recently become a favorite again, and there's no time like the present to share this great recipe with you. It's actually not my recipe at all, that's probably why I haven't blogged about it specifically. I found it while on a search for the fluffiest vegan pancakes, and here is the original recipe by the recipe owner. 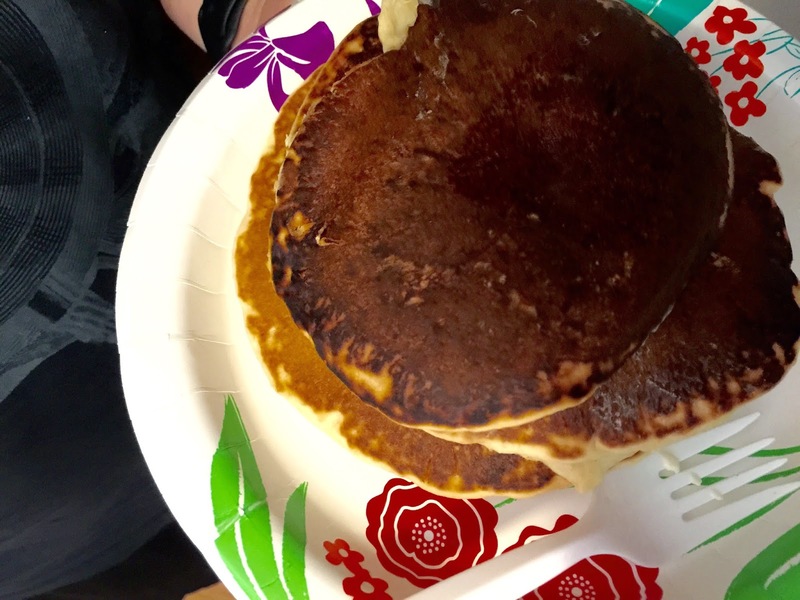 I haven't really altered it, but this has been such a great way to enjoy pancakes on a weekend without feeling too guilty, and I can't help but share it. 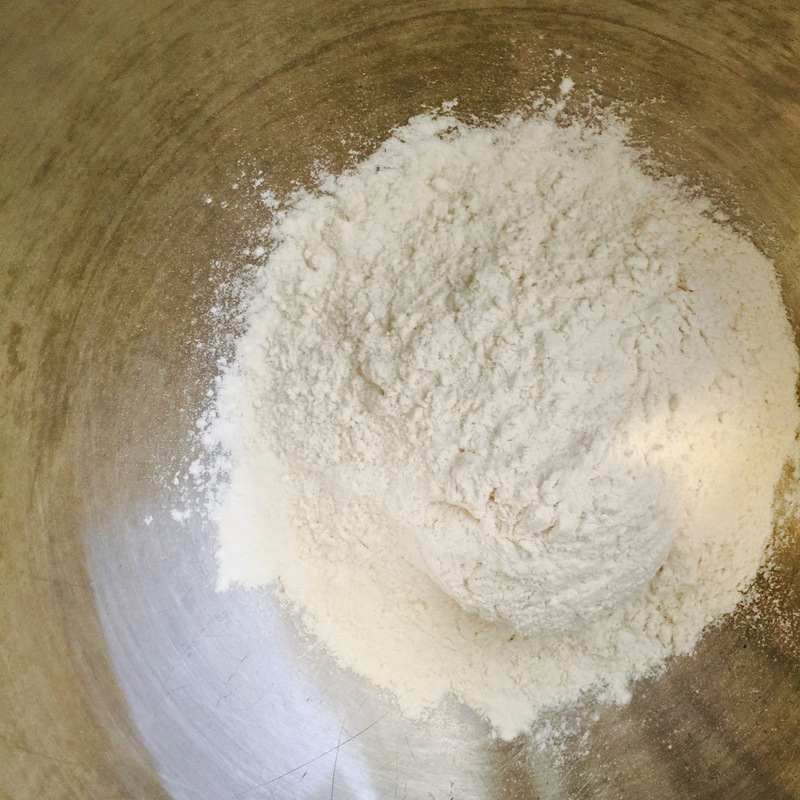 · In a large bowl, sift together flour, sugar, baking powder, and salt. 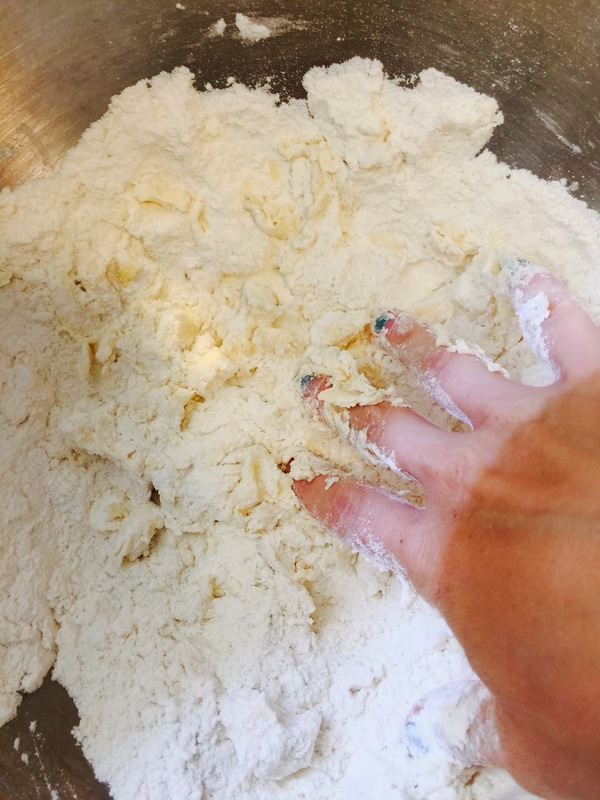 · With a pastry cutter, knives (or your hands! 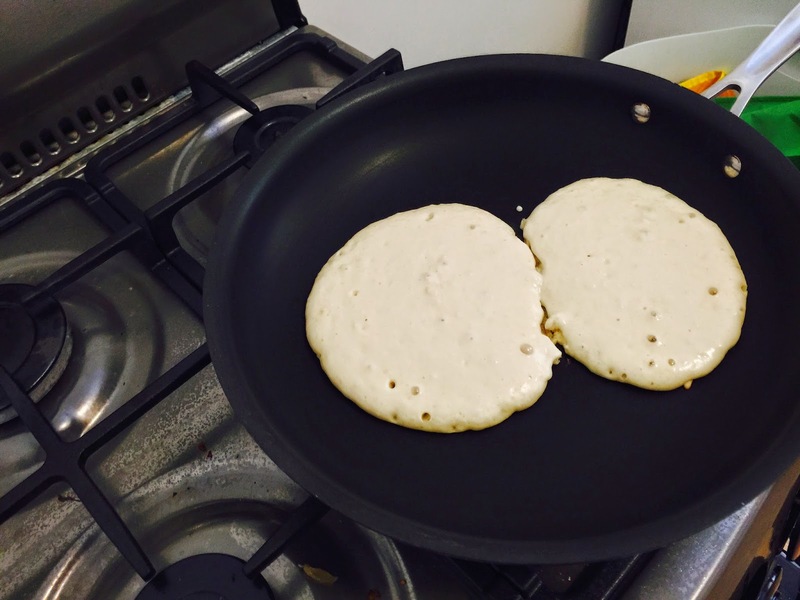 ), cut in butter until mixture resembles coarse meal. 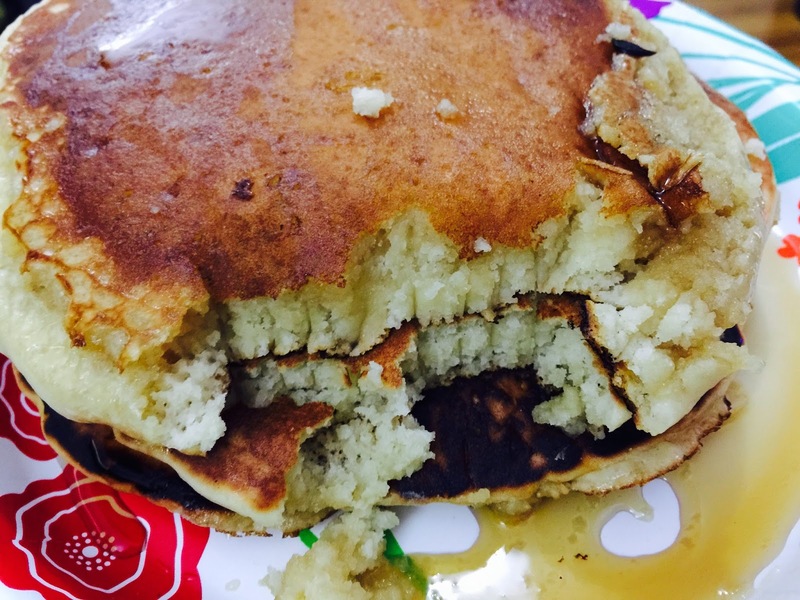 · Put in the fridge for 15 minutes -- uncovered is fine. 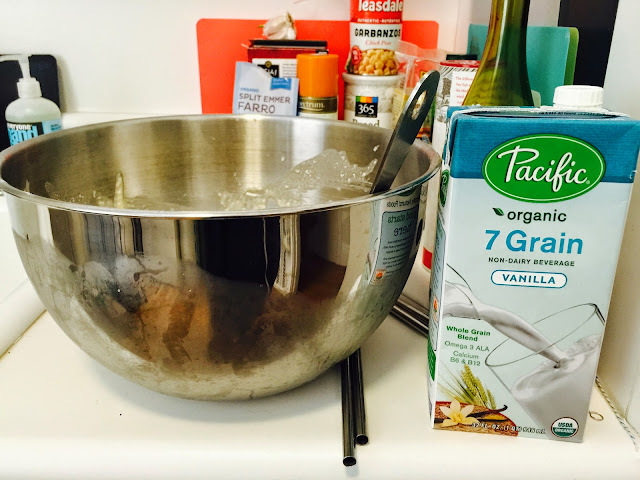 · Add milk and vanilla and whisk until mixture is relatively smooth. 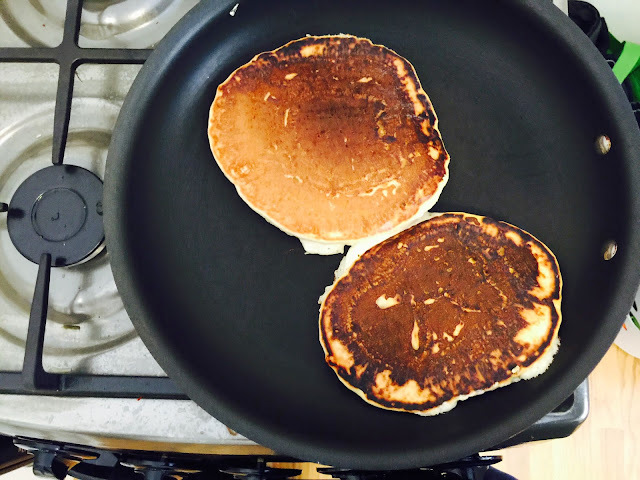 · Heat an ungreased, nonstick skillet over medium-high heat. It's hot enough when a drop of water flicked across the surface immediately sizzles. · Pour batter (however much or little as you want) into the pan. 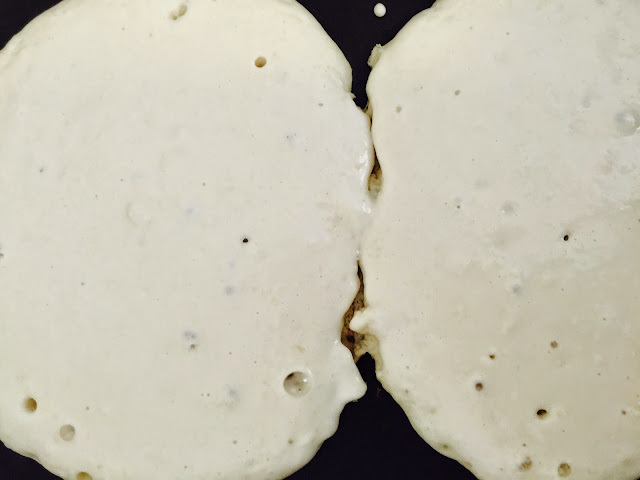 Wait until the batter starts to bubble. 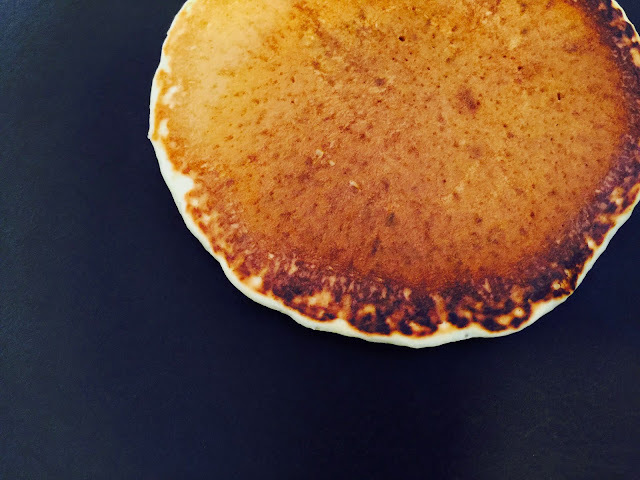 · Flip and cook the other side until golden. 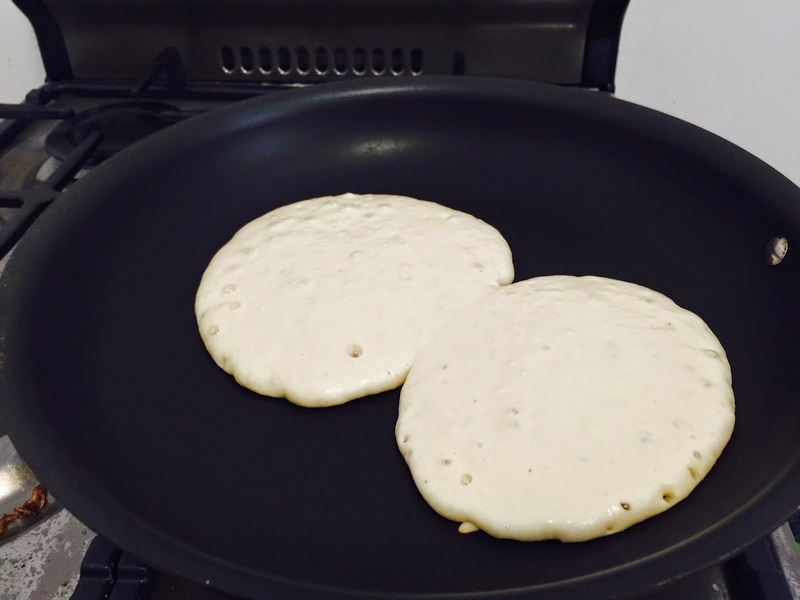 · Remove from pan and place on a serving plate, covered with a cloth to keep the heat in. · Repeat until remaining batter is used up. 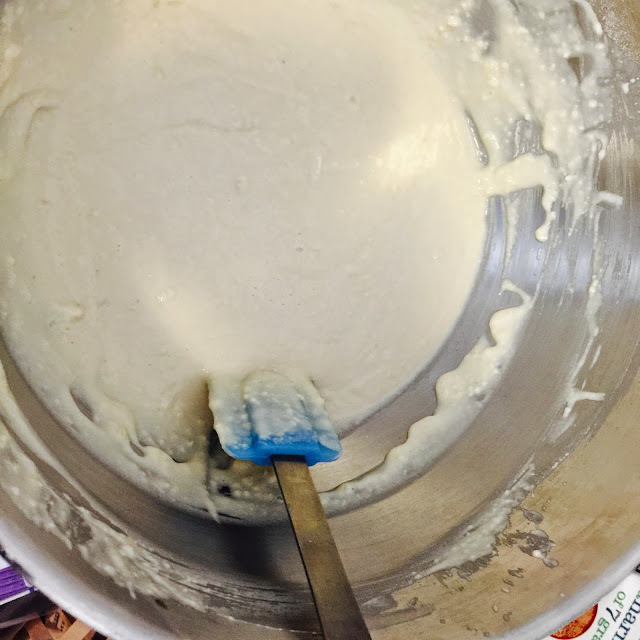 This time, I poured all of my batter into a 2-cup measuring cup for easier pouring. GREAT IDEA. I was going to show you a photo of my fridge here, but you really don't need to see that, because my fridge is totally gross right now. Believe me, I'm saving you a lot of pain! Oh yes, this is the best part: the eating and enjoying part.